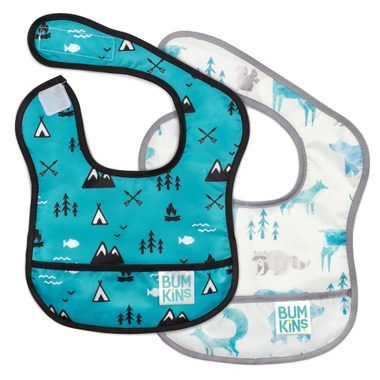 With the Bumkins StarterBib, feeding time is mess and hassle free. These bibs are made of easy-to-wipe waterproof fabric which is also stain and odour resistant. And the catch-all pocket and adjustable hook and loop closure that ensures less mess and a perfect fit every time. This bib knows how to catch spills.